A compulsively readable, deeply human novel that examines our most basic and unquenchable emotion: want. With a satirist's eye and a romantic's heart, Miles captures the morass and comedy of contemporary life in all its excess. With his critically acclaimed first novel, Jonathan Miles was widely praised as a comic genius "after something bigger" (Los Angeles Times) whose fiction was "not just philosophically but emotionally rewarding" (New York Times Book Review). Now, in his much anticipated second novel, Want Not, Miles takes a giant leap forward with this highly inventive and corrosively funny story of our times, a three-pronged tale of human excess that sifts through the detritus of several disparate lives - lost loves, blown chances, countless words and deeds misdirected or misunderstood - all conjoined in their come-hell-or-high-water search for fulfillment. 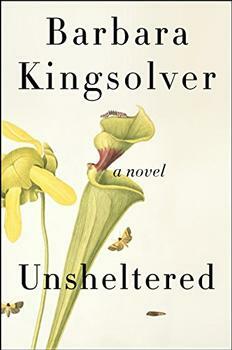 As the novel opens on Thanksgiving Day, readers are telescoped into three different worlds in various states of disrepair - a young freegan couple living off the grid in New York City; a once-prominent linguist, sacked at midlife by the dissolution of his marriage and his father's losing battle with Alzheimer's; and a self-made debt-collecting magnate, whose brute talent for squeezing money out of unlikely places has yielded him a royal existence, trophy wife included. With a satirist's eye and a romantic's heart, Miles captures the morass and comedy of contemporary life in all its excess. Bold, unblinking, unforgettable in its irony and pathos, Want Not is a wicked, bighearted literary novel that confirms the arrival of a major voice in American fiction. All but one of the black trash bags, heaped curbside on East 4th Street, were tufted with fresh snow, and looked, to Talmadge, like alpine peaks in the moonlight, or at least what he, a lifetime flatlander, thought alpine peaks might look like if bathed in moonglow and (upon further reflection) composed of slabs of low-density polyethylene. Admittedly, his mental faculties were still under the vigorous sway of the half gram of Sonoma County Sour Diesel he'd smoked a half hour earlier, but still: Mountains. Definitely. When he brushed the snow off the topmost bag and untied the knot at its summit, he felt like a god disassembling the Earth. Want Not affirms the validity of human stories in spite of the seemingly overwhelming problem of wastefulness. What we waste, what we create accidentally, what we accumulate: these can all form a sort of physical legacy. Like Miles's characters, readers must recognize that true value is based not in what we hoard or what we throw away, but in the ties we form in life. (Reviewed by Rebecca Foster). What is extremely apparent...is Jonathan Miles’ extraordinary talent. Where so many writers are impressionists, Miles is more of a photo realist....Miles presents such fully developed characters, you come to know their essences. When prompted to offer up a pithy description of life on Planet Earth for future generations, one might be tempted to filch a line from a character in Jonathan Miles'second novel: 'We came, we saw, we trashed. '...But what makes Miles' new book (after the much lauded Dear American Airlines so luminous and so resonant is what it asks instead: Or did we? I loved this book…Jonathan Miles can write, and here he’s written a wonderful book, and there’s no one I would not urge to read it….This is the work of a fluid, confident and profoundly talented writer who gets more fluid, more confident and seemingly more talented even within the book itself. Sitting down with Want Not is like finding yourself opposite the most interesting person at a dinner party. It pulls you in immediately; makes you shake your head in wonder and delight at your new companion's wit, originality, and compelling turns of phrase; and, best of all, surprises you into laughter. Though an excess of backstory and character detail sometimes slows the book's pace, mordant humor and a well-constructed plot manage to hold together Miles's sophomore effort. Despite a somewhat implausible denouement (which links the storylines in a spectacular fashion), the novel stuns with a remarkable array of characters that will get readers thinking about 'stuff' and what excess remains. Starred Review. For readers who relish extravagant language, scathing wit and philosophical heft, Want Not wastes nothing. 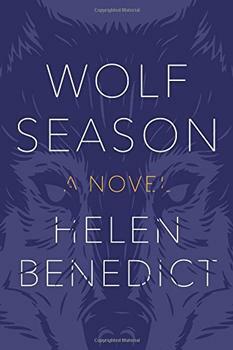 [A] wild tangle of high-octane, entertaining prose, an astonishing leap for this accomplished novelist. If you're in that soul-hunt up the food chain and down the dial for something more satisfying than the hollow abundance of our contemporary lives, read this book. It is warm, complex, comic, honest, and never flinching. Want Not wastes not a word, while its pleasures are endless. In this powerful, blisteringly funny novel, Jonathan Miles makes a startling discovery: We are what we throw away. It's in our castoff goods, edibles, chances and people that our authentic selves are revealed...Miles mines the depths of waste so artfully that by the end of this extraordinary novel, we're left with the suspicion that redemption may well be no more, and no less, than an existential salvage operation. [Want Not] is as witty as it is mind-blowing and eye-opening. The combination of high-octane prose and Miles' compassion for his characters make for a novel that stirs the collective conscience. A clear-eyed, exuberant entertainment. After a hurricane devastates a small town in upstate New York, the lives of three women and their young children are irrevocably changed.